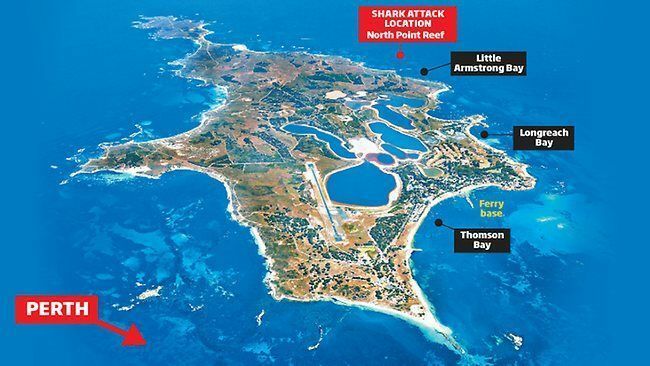 ROTTNEST ISLAND, Australia -- Police have named the victim of Saturday's fatal shark attack in Western Australia as George Thomas Wainwright, a U.S. citizen from Texas. 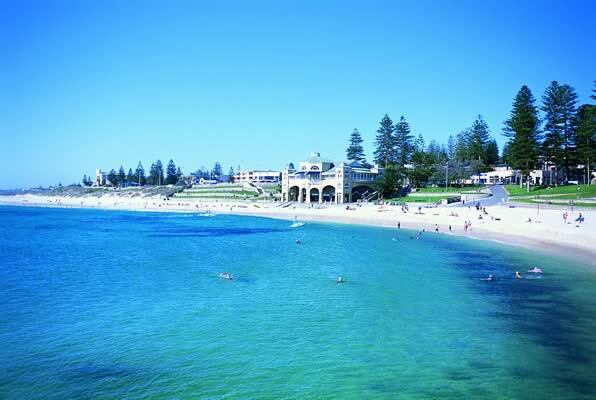 Wainwright was in Australia on a working visa and had been living for several months in North Beach, a beachside suburb of Perth, the capital of Western Australia. He was killed by what authorities believe was a great white shark, while diving just off Little Armstrong Bay on Rottnest Island, a popular tourist spot not far from the mainland, PerthNow reported. Police say two of Wainwright's friends aboard a private boat watched in horror as they saw a "flurry of bubbles" in the water, before their friend's body surfaced a short time later with "obvious traumatic fatal injuries." They made a desperate emergency call after retrieving his body from the water and witnessing a shark, which they described as a three-meter (9ft 8in) white pointer. Police described the injuries sustained by Wainwright as horrific. Saturday's deadly attack is the third in just seven weeks off Western Australia and comes only 12 days after Perth businessman Bryn Martin disappeared while swimming at Cottesloe Beach. He was suspected to have been taken by a shark. The attacks, which are far beyond the state average, prompted authorities to issue a catch-to-kill order just one hour after Wainwright's death Saturday, the first such order in the history of the state. "The decision has been made that if we capture the shark we will kill it," said Department of Fisheries regional manager Tony Cappelluti. "The policy is that if there's a clear and present danger that we can take a great white." Baited traps have now been set up in a bid to capture the shark. The state government is also considering a shark cull around popular beach areas and introducing aerial patrols at a number of sites. Sharks are a common feature of Australian waters but fatal attacks are rare, with only 24 recorded deaths in the 20 years up to June 2009, or an average of just 1.2 shark-related deaths per year according to official data, AFP reported. Officials along a popular stretch of beach near Perth, Australia are hunting a 10-foot great white shark which killed a Houston man Saturday as he was scuba diving with friends. George Thomas Wainwright, 32, lived in the Town & Country/Memorial area and had been in Perth for about six months on a work visa. Sources said he was employed by a marine transport company serving the offshore oil industry. Wainwright is the third person killed by a great white in two months, and there’s controversy over whether this is a “Jaws”-type series of attacks by a single, rogue shark or attacks by different sharks. Because of the similarities to the book and movie “Jaws” — deadly attacks along a beach frequented by tourists and the growing cry to hunt the shark or sharks, Wainwright’s death and the ensuing hunt has rapidly gained worldwide attention. Friends remained in the boat while he was diving solo, they told authorities. They saw a flurry of bubbles, they said, and his body rose to the surface with what one investigator described as “horrific” injuries. That investigator said he was likely already dead when his friends pulled him into the boat. His companions related a terrifying story of the shark aggressively bumping their small boat as they attempted to save Wainwright and flee. For the first time, Australian officials have used an emergency measure to suspend protection of great whites as an endangered species in order to protect the public. They have set hooks baited with tuna around the area of the attacks — Rottnest Island, a popular tourist resort known for its white, sandy beaches, international-caliber surfing, cruises to spot whales and dolphins, and vineyards and wineries that produce shiraz wine. “This is a unique set of circumstances, and I’m desperately ... praying this is not the beginning of a new trend ... and we’re going to have these on a regular basis,” Western Australia state Fisheries Minister Norman Moore said on Sunday, according to the Daily Mail. Scientists are reportedly disputing the single-shark theory. “What we’ve seen tragically is three cases of people by sheer bad luck being in the wrong place at the wrong time,” federal government marine biologist Barry Bruce, an expert in great white sharks and their movements, was quoted as saying. An online poll and survey by the news organization PerthNow indicated a majority of respondents do not believe the shark should be killed. Already hear the Jaws tune in my head. This is why you don't go swimming in the ocean. Any idiot should know this by now. Perth is my home town. Yes quite a few people getting chomped at the moment. There was another one in 2000 - guy named Kenneth Crew got eaten while on his early morning swim. 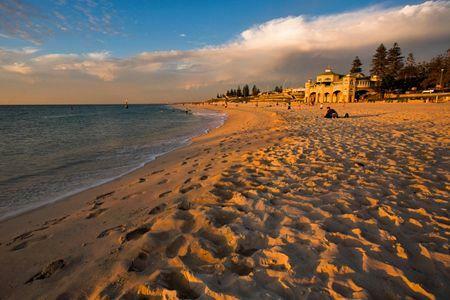 I've attached a pic of Cottesloe beach where one of the recent ones happened. The aerial shot is of Rottnest island which is 18km off the coast and visible from Perth. The Name of the shark is simon. Simon the Shark. The media doesn't know his name but i tell you here. "Simon, simon, simon the shark he'll bite you in two just for a lark"
It's got to be quite a problem if they are disregarding their own protective order on the sharks. I wonder what is so different this year that has the sharks attacking. Well, with all of the oil spills happening nowadays food's probably short for marine life so they're having to attack us humans.